This past weekend was the Seventh Annual International Albariño Days. It is also summertime and hot outside, so it took little excuses to drink these crisp, refreshing wines. 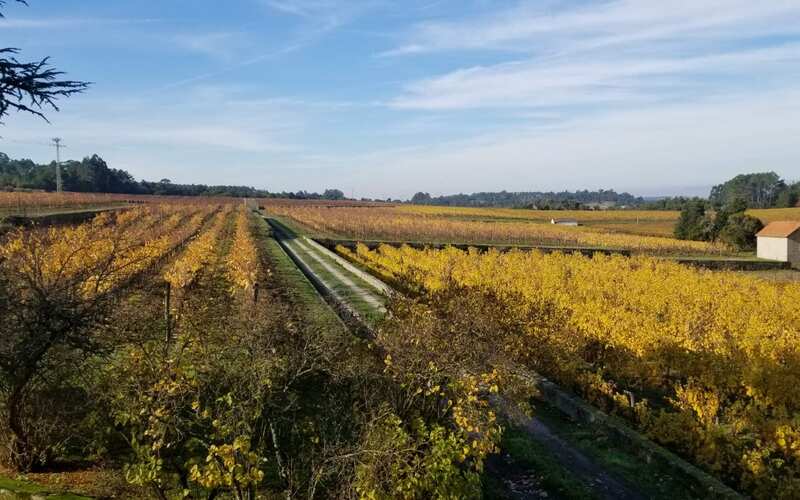 In my recent column in the Napa Valley Register, which you can read below, I shared three Albariños from Rías Baixas that I have been enjoying! The heat of the summer is here, and my palate is calling for crisp, refreshing white wines. 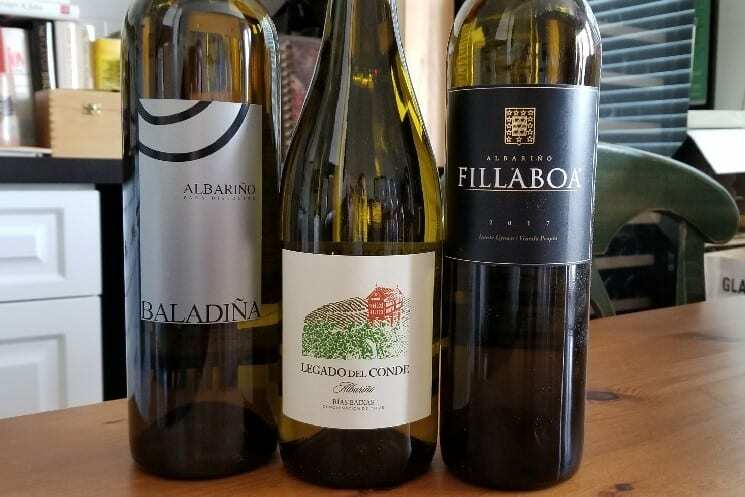 One of the wines that is filling this request is Rías Baixas Albariño and right now it is perfect timing because it is also the seventh annual International Albariño Days, August 2-7. Albariño is indigenous to northwestern Spain and northern Portugal. In Portugal, it is known as Alvarinho and it is the primary grape of Vinho Verde. In Spain, Albariño is the primary grape of Rías Baixas, representing 96 percent of all plantings in the region. Rías Baixas is located in Spain’s northwest region of Galicia. An Atlantic-influenced climate, it is also known as “Green Spain” as it is an area that is characterized by moderate year-round temperatures, ocean mists and an average rainfall that can be three times the national average. Galicia also gets a lot of sunshine hours, which enables Albariño to fully ripen with good natural acidity. It is summer, it is hot and I am drinking crispy, refreshing white wines, including Albariño. It is also currently International Albariño Days (August 2-7) so this week the Please The Plate pick of the week is the LaZarre Wines 2016 Albariño. LaZarre Wines is a small, family-run winery owned by winemaker Adam LaZarre and his wife Angie. A veteran winemaker with nearly 20 years of experience, Adam was the Vice President of Winemaking for Hahn Estates winery in Monterey County and was part of the team that created such superstar wines as Rex-Goliath and Cycles-Gladiator. He started LaZarre wines in 2003 to focus on varietally correct wines from fruit from the Central Coast. They produce Pinot Noir, Merlot, Sauvignon Blanc, Vin Gris, Chardonnay and, of course, Albariño. Albariño is indigenous to Northwestern Spain and Northern Portugal. But it was first planted in California in the 1990s and has grown to over 200 acres planted. It is a grape that can succeed in both warm and cool climates. LaZarre sources his fruit from the Edna Valley in San Luis Obispo County. The grapes are fermented in stainless steel and neutral oak and undergo sur-lie aging. The 2016 LaZarre Albariño ($26) is a pale golden yellow color. It is a super aromatic wine with notes of lemon, lime, grapefruit, stone fruit and apple. On the palate, the wine has a lush mouthfeel with bright acidity and a medium plus finish. 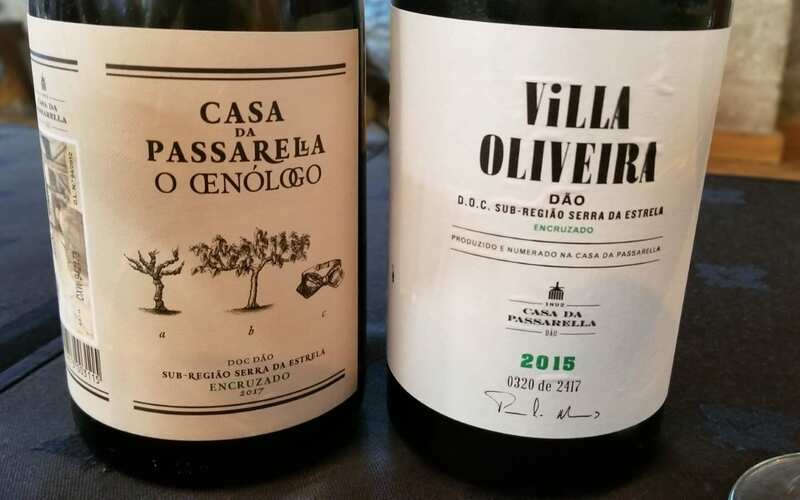 If you want the freshness of Sauvignon Blanc but not be as over-the-top; if you want the aromatics of Riesling but not as acidic; if you want the texture of Chardonnay but not as much, then Albariño is your answer.